Sign-ups for the EDA show will open on THIS Tuesday February 18th at 12PM ET and will remain open through Wednesday February 19th at 12PM ET. EDA club members will be able to register to attend as an individual or with a plus one. Ticket holders name must match ID. Because this is a free show and space is limited, tickets will be given on a first come first served basis. Spots will be filled quickly, so be sure to sign up early! 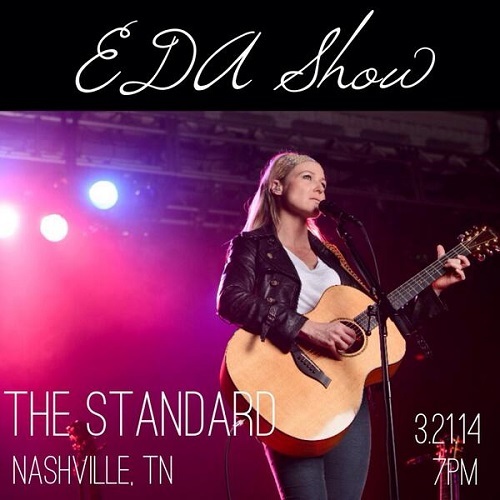 SIGN UP FOR THE EDA CONCERT HERE! Those who qualify will be notified no later than end-of-day Wednesday. After receiving your email notifying you that you have qualified you MUST send a confirmation email back notifying that you will be attending. Failure to confirm your attendance within 24 hours will result in your spot being given away. The theme of the night will be a Swanky Soiree. Dust off your finest duds and come dressed to impress in cocktail attire! Thrift store chic and black tie optional. Sign-ups will be available on the “Community” page of Jeweljk.com. Register here to become a member today.